Last week saw the release of the final LP from one of the most intriguing acts to grace the Irish music scene over the past decade. 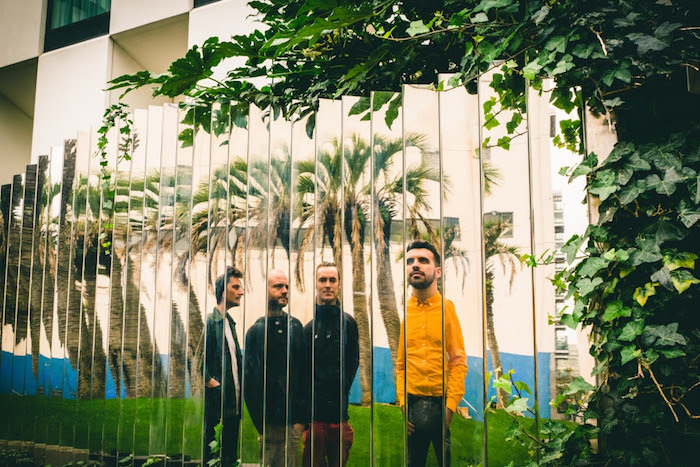 County Wicklow natives Enemies have been exploring their sound for nine years now, and ahead of the release of this third record, the aptly titled Valuables, the group announced that they were to disband. Thankfully for us listeners, they’ve gone out on a high and left a bittersweet parting gift. Formerly an instrumental outfit, producing music which landed somewhere in the area of math-rock, Enemies have expanded their sound to encompass something a touch more free-wheeling and, dare I say it, pop-inclined. The tight rhythmic patterns have developed rounder edges, the song-writing brimming with organic melodic flourishes and the occasional raucous abrasion of chugging guitars and thunderclap drums. An important direction taken with the production of Valuables is the band’s decision to further implement vocals in their music, something which you felt the group might pursue after briefly exploring this idea on their sophomore album Embark, Embrace. The inclusion of vocals throughout Valuables adds another layer to the already taut, confident musicianship displayed by Enemies in the instrumental components of their songs. ‘Play Fire’, the leading single released by the group ahead of Valuables is the perfect microcosm of all that this album has to offer the listener. Undeniably carrying the influence of their instrumental roots, ‘Play Fire’ meshes the band’s new-found appreciation for the human voice with their affinity for the controlled rhythms of math-rock. The marriage of these traditionally contrasting elements is clear right from the outset, with the staccato vocal of the intro encapsulating the sound crafted by Enemies on this record. The group have managed to retain their identity, traversing a soundscape inclusive of post-rock verses and a memorable pop-oriented chorus. What’s refreshing about this expansion is the complete absence of any cynicism. Often when a band begins to veer into the realm of pop, it’s for all the wrong reasons – money and commercial recognition. This could never be said of Enemies, who have no vested interest in where this record may take them. Their growth has been organic and the fact that this record was created with the understanding that it would be their swansong has allowed for a creative freedom which is unfortunately alien to many Irish acts. Understandably, in such a difficult environment as that inhabited by the modern musician, staying afloat is a pressing concern. Thankfully, with the freedom Enemies have afforded themselves in their decision to break up, they can blissfully drown in a shimmering sea of their own creation. While it is undoubtedly a pity that Enemies will cease to exist, following a farewell show in Vicar Street on Sunday 18 December, we can be grateful that their approach to Valuables has produced their finest work to date. For all the moments of brooding that can be found simmering away in the dark corners of this album, the music never gives way entirely to any sense of mourning. Opener ‘Itsallwaves’ sets the tone, igniting the record with clever vocal lines and soaring guitars. This tapestry of textured guitar work provides a fine backdrop over the next forty minutes, as Enemies groove and graft their way through an array of emotional peaks and troughs, climaxing with the ebbing, atmospheric ‘Don’t Go’, the band’s penultimate offering on this LP. It might be time to say farewell to Enemies, but Wicklow’s finest will continue to bloom as listeners immerse themselves in Valuables, the most refined work of their too-short recording career. Enemies play Vicar Street on Sunday, 18 December. You can still buy tickets here.